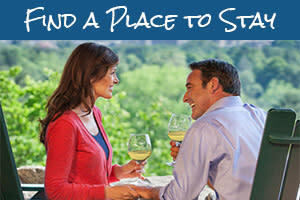 Asheville is ready to welcome you to the mountains for the fall season! We&apos;re beginning to see the very first hints of fall in the highest elevations. As you explore Asheville this weekend, gear up for fall with the fall leaf color forecast for 2018 and our guide to the top 10 ways to experience fall in Asheville. Saturday (Oct. 6), 1-6 p.m.
Guten tag! 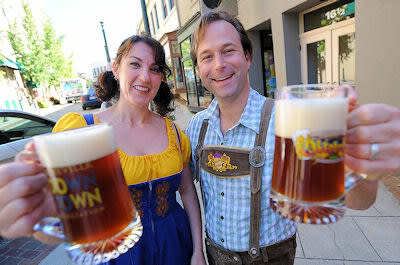 Raise a glass in the spirit of Oktoberfest at Asheville’s official Oktoberfest celebration! Nearly 30 breweries, cideries and wineries will give you a taste of the local beer scene. Many of them will be pouring seasonal ales. For your entertainment while you sip, yodelers, dancers and polka musicians take over the main stage. Compete in the costume contest, the Organic Free-range chicken dance and more. Tickets are just $45. Saturday (Oct. 6), 11 a.m. to 11 p.m.
Can’t get enough Oktoberfest? Head to Hillman Beer’s first Oktoberfest celebration. Enjoy food and drink specials. There will be music from the Steubenville Tootlers from 3-6 p.m.
Saturday (Oct. 6), 2-5 p.m.
Show your skills! 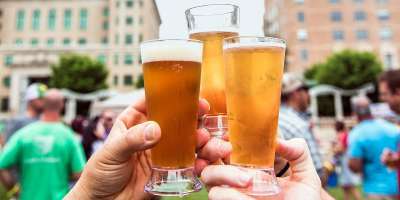 Sweeten Creek Brewing hosts its first ever Beer Olympics on the creekside lawn. Each team of 3-6 players will compete in seven games: keg toss, tug of war, tire flip, pitcher filling relay, volleyball, corn hole and dizzy bat. There will be prizes for first and second place. It’s free to play! 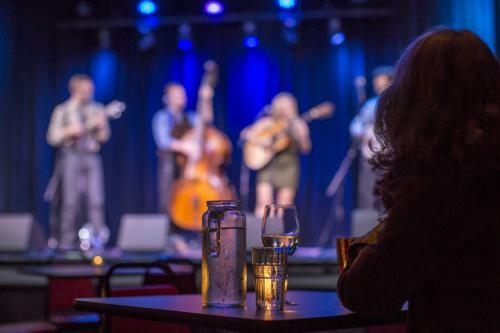 On any given night in Asheville, you will find numerous live music shows highlighting a wide variety of musical styles. There are more than 20 live music and theatre shows this weekend alone. See our live music calendar for a full list that you can search by date! Saturday (Oct. 6), 12-5 p.m.
North Carolina’s most popular food trucks dish out everything from flavorful BBQ to authentic tacos during the 2nd annual Asheville Food Truck & Craft Beer Festival! Craft breweries will serve up refreshments as you enjoy live music, lawn games and an artisan market showcasing the work of local artists. Skip the lines and enjoy special perks when you purchase a VIP ticket for the VIP Hour from 11 a.m. to noon. The festival takes place next to the Field & Stream store at the Asheville Outlets. Tickets are $5 in advance online or $10 the day of the event. Saturday (Oct. 6), 10 a.m. to 4 p.m.
Bring the family to this celebration of the environment, culture and community of Western North Carolina. 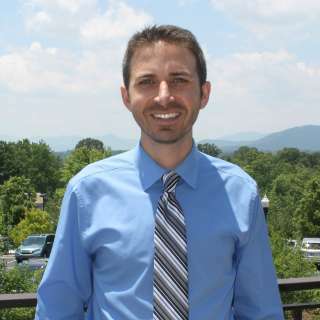 The WNC Nature Center offers a wide variety of exciting wildlife. In addition, this 42nd annual celebration will feature games, arts and crafts, educational animal programs, live music and local food vendors. There will also be a raffle with a chance to win great prizes! Standard WNC Nature Center admission rates apply for those without an annual membership. Saturday (Oct. 6), 12-6 p.m.
Take part in a free celebration of all things garlic! The 5th Annual WNC Garlic Fest celebrates local food and local business by providing garlic eating, preserving and growing workshops. Enjoy the family-friendly farmers market feel with a crazy amount of garlic. Follow the WNC Garlic Trail map to collect authentic garlic experiences from participating vendors. Or, take garlic workshops in growing and cooking. This show will feature all kinds of layouts, model railroad equipment and supplies in all scales, railroad memorabilia, clothing items and railroad art. Door prizes will be awarded. The show is open Friday from 12-7 p.m. and Saturday from 10 a.m. to 4 p.m.
American Craft Week is a 9-day celebration with numerous events throughout Western North Carolina designed to help you discover the wonders of American Craft. 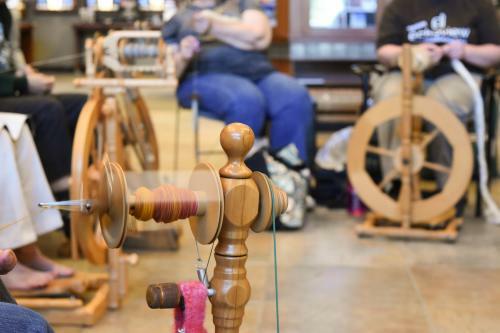 Throughout American Craft Week, there will be also be craft demonstrations. This weekend, local metalsmith Audrey Laine Sawyer and Asheville fiber artist Karen Kennedy will be at Grovewood Gallery on Friday and Saturday from 11 a.m. to 4 p.m. For a full list of events, see the American Craft Week calendar. 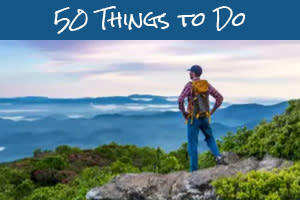 Friday (Oct. 5), 5-8 p.m.
Visit more than 20 galleries within a half-mile radius of Asheville’s city center. 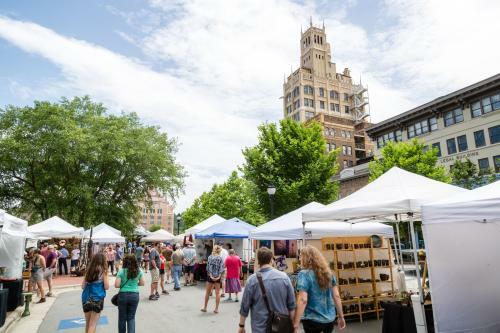 Discover the art scene that contributes to Asheville’s reputation as “The Paris of the South.” Among those galleries, you’ll find unparalleled diversity including fine studio crafts, glass, photography, folk, contemporary painting, metalwork, textiles and jewelry. Among this Friday night’s highlights is a reception for a showcase of NC Glass Center Artists in conjunction with Summer of Glass and WNC American Craft Week. The reception for “Reflections: Exploring Inspiration” will be at The Refinery Creator Space (207 Coxe Avenue). Saturday (Oct. 6), 10 a.m. to 5 p.m.
Find the finest in handcrafted art that Asheville area artists have to offer at Asheville Art in the Park. This market series is now in its 10th year. Asheville Art in the Park takes place on three consecutive Saturdays in October. This is the first of the series in 2018. This is the final weekend to enjoy Chihuly at Biltmore! The monumental glass sculptures of Dale Chihuly have been on large-scale exhibition since May 2018. The glass sculptures are set throughout areas of Biltmore Estate, primarily in the gardens. As part of the exhibition, Biltmore is hosting a first-ever evening experience, Chihuly Nights, in the gardens that offer views of the sculptures after dark. As the “Summer of Glass” winds down, take a final glass tour. The glass studio tour by Art Connections will travel into the Blue Ridge Mountains to the beautiful town of Bakersville, where you’ll meet four artists. Tour, transportation and lunch are included. Saturday (Oct. 6), 10 a.m. to 7:30 p.m. Celebrate the music and dance traditions of the mountains at the Heritage Festival and Bascom Lamar Lunsford Music Festival in the town of Mars Hill, about 20 miles north of Asheville. The music festival draws the area’s finest mountain music and bluegrass musicians for performances and informal jam circles. Meet traditional craftsmen, exhibitors, forestry students and entertainers as they gather at the Cradle of Forestry to celebrate the forest and its heritage. This tradition began in 1908 when Dr. Carl A. Schenck hosted the Forest Fair at Biltmore Estate. To coincide with Forest Festival Day, students from Haywood Community College organize the Intercollegiate Woodsmen’s Meet annual lumberjack competition. Athletes from several colleges compete in events such as archery, axe throwing and pole climbing. Admission is just $10. Youth tickets are $5. Sunday (Oct. 7), 11 a.m. to 10 p.m. Celebrate hazy and hoppy beers at Bhramari Brewing Company’s first festival. Bhramari will feature local, regional and national breweries who make incredible hazy and hoppy IPAs. They will also be releasing 4-packs of Above the Clouds, a milkshake IPA with lucuma, vanilla and lactose brewed in collaboration with Listermann Brewing Company of Cincinnati, Ohio.